About time we had an RP on here! Consider this my tag post (Reserving a place in the game). 5) Skills: Fast, good shot with shotguns and rifles, very good tactician and planner, but hesitates when under pressure. 6) Personality [optional]: stubborn, always thinks he's right, gets himself in a sh1t load of trouble. 4) Current possessions: Short-sleeved Tee shirt, Cargo shorts, running shoes, backpack (3 days of food and water), duffel bag (matches, paper, assorted limbs picked up on the road, a few smooth rocks, Superman comic books), aluminum baseball bat. 6) Personality: Naive and joyful whenever happy, whenever there's actually time to be happy, cynical and introverted all the rest of the time. 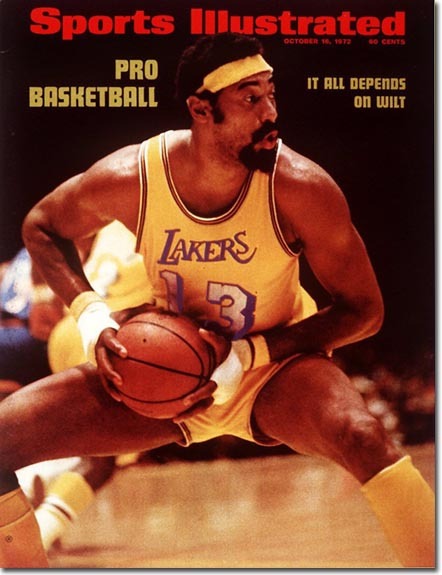 3) Work Experience- Wilt Chamberlain- A professional basketball player, College Track & Field star, and an actor. Freddie Mercury- A professional rock singer for Queen. 5) Skills- Both- Can use the God Device with ease. Are unkillable. Instead of dying the alternate form comes out. The forms don't retain any damage. Wilt Chamberlain- Unlimited Strength and Unlimited Speed. Freddie Mercury- Can sing whenever he wants, and when he sings, he forces people to obey his will. 6) Physical Information- Wilt Chamberlain- 7'1, 300 lbs (All Muscle baby) Freddie Mercury- 5'10, 165 lbs. "Meet the Scout" :P Yeah, approved. Concealment and Cover is pointless as zombies hunt by sciennt and you want them close to kill them via headshot (thus negating concealment) and they use melee, not guns (thus negating cover). Shock and Awe is pointless against zombies due to not being able to fear. Explosives would just make "crawlers" (zombies which crawl. It took a lot of time to think of that). I can go on. But in short, military ingenuity = knowing how to fight with ten times better weapons against other humans and making them scared, and thus not useful for fighting zombies. Can we make this a bit unrealistic. Like a KGB agent or CIA/FBI agent. Long story short, no. Short story long, what possible reason can you contrive for a KGB agent to even be around in France, especially seeing as for all intents and purposes America is in a massive war in-land and Russia no longer exists as a nation, both being bogged down in home territory anyway, any reason for that specifics is either contrived with no reason to believe such, or is for such a general reason that we might as well let you be Interpol or a soldier. Accepted. Just so people know, tacticians will be worse tactically than civilians in general. This is due to almost all zombie lore agreeing with me, and the fact that all military tactics fail in regards to zombies. Haha generally, I'd agree there. But, when it comes to something like fortifications knowing where to place people and mines is key. Besides, when did I say that I was schooled in traditional tactics? The guy that is on the battlefield sees things much differently than the guy telling people where the battlefield is and where to stand. In general, I agree...but loud kills == diversion. Plus, placement of people is key. While having them in a straight line, medieval style == 5 dead people. Having one quick guy leading 100 slow moving zombies into a "trap" == 100 dead zombies. Find an exception to the Cover and Concealment point. The fighting as a military tactician only helps when against a human army with ranged weaponry. And also, there are uses to explosions like blowing a lock, but you don't need fourteen years of being a military officer to work that out ;) However, what a man with a crash course in zombie fightin' could tell you is that explosions = loud = attracts zombies = you dead, boi. Also, guns are still loud = attract zombies = you dead again. Also, having 5 guys in a straight line still works. Melee enemies means that you need to flank. Thus, medieval tactics are much more superior than modern tactics (which is what a military officer would know of, not military tactics. Greeks and Romans and many more great nations won wars through flanking and no survivor battles. Similar to zombie wars, in all honesty. A quick guy moving zombies into a trap also is one of the more obvious things, but relies on a detailed knowledge of zombie behaviour which, quite frankly, military officers don't have. Forts are obselete with gunnery, but not against zombies. Something a military officer would not know about: building forts. Lines of mines are also not efficient, as you just get left with masses of "crawlers" which means more problems, not less. Best military tactic by far: sit there and shoot. Collect a ludicrous amount of ammo, kill tens of thousands, hundreds of thousands of zombies, and then march like a boss. It's of course fictional, but the logic behind it is quite intuitive. Find an exception to the Cover and Concealment point. The fighting as a military tactician only helps when against a human army with ranged weaponry. Plus zombies who can't climb or reach high up places, so high up places == advantage, the difference is you have to know where your advantages and disadvantages lie and what the best place is to place your men. IE a guy with a knife against a guy with a 50 caliber sniper rifle, the sniper has an advantage from a far away place, the knife-man has an advantage when right next to the guy with the rifle. However, what a man with a crash course in zombie fightin' could tell you is that explosions = loud = attracts zombies = you dead, boi. Also, guns are still loud = attract zombies = you dead again. It depends on the situation. Sure, 5 guys with superior fire power and range against 50 to 100 zombies may work, but against 1000 or 2000 they would quickly die. If you are against a highly numerous force, it would be preferable to use well unorthodox and irregular tactics. Any survivor of the initial zombie apocalypse would have plenty of knowledge of zombie behavior. They did survive. Forts are obselete with gunnery, but not against zombies. When did I say they were obsolete? Something a military officer would not know about: building forts. Depends on the officer and what they specialized in. And in this fictional world, chances are you will not have the time to build a full fort. This means you resort to what the military officer is good at, makeshift battlefield fortifications. Also, a military officer would have more expertise on military fortifications than a civilian. Lines of mines are also not efficient, as you just get left with masses of "crawlers" which means more problems, not less. Maybe. It depends on the power of the mines. It would fail. No one can have enough ammo...also people are fallible and eventually would make a mistake. More people, less chance. Isn't this whole thing unrealistic anyway? 4) Current possessions - Loaded .32 8 chamber revolver, 24 free bullets, Butcher's knife, Flay knife, 2 legal pads, 10 pens (various colors), 4 books (Feed, Brave New World, Les Miserables, The Great Gatsby) 2 half-liter bottled waters, 2 Pop-tarts, Bag of Milanos, Quarter bottle of ibuprofin (pain meds). 5) Skills - Natural diplomat, High intelligence, Good interpersonal intelligence, Creative, Proficient marksman. Weaknesses - Overweight (read, slow), Weak upper body, Chronic knee pain, Chronic anxiety, Emotional. 6) Personality - Low self-esteem, Insecure, Easily angered, Highly intelligent, Humorous, Friendly, Wants people to be happy (Natural diplomat, healer), Outwardly optimistic/happy, Loves reading, Loves writing. 3) Work Experience : Joined the Navy for 3 years. After that was an off/on Photographer/journalist. Worked in a mechanic shop all my life. 5) Skills : Great photographer/journalist, Runner, Great converser, Flirty, A little above average with a handgun. 6) Personality [optional] : Mostly Introvert but really good at getting ladies. Likes to journal about life. Not afraid to give orders when needed, but not good at working with others. Wait, I'm about to do this. 2) Age (roughly)-Late forties to early fifties. 3) Work Experience- Surgeon,as well as part-time owner of a small chain of retail shops with his wife, Sarah Brown, in the neighborhood (often assisted and replaced by his brother, John, on his "busy days") covering movie tracks and often housing small-time concerts for his small, but admittedly lively community. 4) Current possessions- 1 Shotgun, 2 stores of shotgun shells in basement, medical diploma, cassette, glass bird filled with mercury, rations of food and drink, as well as bounty from a recent thanksgiving celebration with his neighbors, five sets of twenty books each in the attic, portable suitcases full of clothes, a t-shirt, tie, running shoes, five suits and appropriate pants, a glass bottle, china ware, silver ware, and so forth. 5) Skills-Patient, skilled surgeon specializing in the handling of emergency inhibition and illness, capable of quick memorization and minor photography, minimal skill with using pistol but expert level in utilizing shotgun effectively due to former childhood years in the west, quick runner (due to regular jogging sessions), wide knowledge in sciences and acquaintance with humanities, good management skills despite limitations set by his irregular regulation of the retail shops, somewhat street-smart fighter limited by slow gait. 6) Personality [optional]- A bit abstruse and often obscure in speaking, though relatively patient; constant insomnia and sleep deprivation will beset his judgment and often lead to abnormal behavior; somewhat stubborn and persistent, though eager to learn. Introverted except with around friends and known companions, paranoid in closed spaces and areas of high danger, quick learner who is eager to learn, realist and often cynical despite being nostalgic at times. The Wilt Chamberlain/Freddie Mercury Combo Body is the greatest character of them all. 5) Skills-Patient, skilled surgeon specializing in the handling of emergency inhibition and illness, capable of quick memorization and minor photography skills, minimal skill with using pistol but expert level in utilizing shotgun effectively due to former childhood years in the west, quick runner (due to regular jogging sessions), wide knowledge in sciences and acquaintance with humanities, good management skills despite limitations set by his irregular regulation of the retail shops, somewhat street-smart fighter limited by slow gait. Why don't you just create an actual character instead of trolling? My character isn't a troll, just bawss. Never mind what I said about the link. Counter terrorism huh? xD you're not a troll, daytona is.